"The Spoke" in The Pavillion will be open at 8:00 AM to do minor tune-up work. Justin and Jacob will be there to serve you! 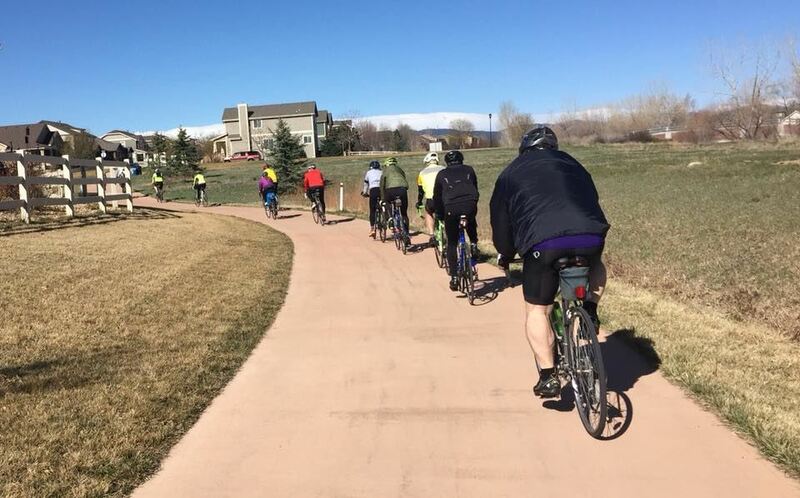 Route is about-half on paved (city) trails : Laurel Street; ... around Edora Park; Spring Creek Trail path; Riverbend Ponds Natural Area; Poudre Trail path; CSU Environmental Learning Center lot; ... Rendezvous Trail path; ... Power Trail path; Stuart Street; ... Colorado State University campus. Free after-ride-brunch is to be hosted by Colorado State University at The Pavilion; paid-for by Reveal 360 Inspection Services.